Below you fill find all funeral homes and cemeteries in or near Doniphan. Doniphan is also known as: Ripley County / Doniphan city. Zip codes in the city: 63935. Ripley County funeral flowers can be purchased from one of the local funeral shops we partner with. McNabb Funeral Homes recently expanded their family to include Gregg Funeral Home in Monette, AR & Caraway, AR; Gregg-Weston Funeral Home in Harrisburg, AR, and Gregg-Langford-Bookout Funeral Home in Jonesboro, AR. Doniphan has been featured in films like: Ride with the Devil (1999). Some of the notable people born here have been: Billy Yates (singer and singer-songwriter). Doniphan is a city in Ripley County, Missouri, United States. The population was 1,997 at the 2010 census. It is the county seat of Ripley County. It was disclosed on February 24th, 2019 that Donald Thomas Spiegel passed away in Doniphan, Missouri. Spiegel was 77 years old. Send flowers to share your condolences and honor Donald Thomas's life. It was reported by Current Local on October 18th, 2018 that Peggy June Watkins (William) perished in Doniphan, Missouri. Ms. Watkins was 74 years old and was born in Success, AR. Send flowers to express your sorrow and honor Peggy June's life. It was disclosed by Oregonian on August 20th, 2018 that Billie Jean Casey perished in Portland, Oregon. Casey was 89 years old and was born in Doniphan, MO. Send flowers to share your condolences and honor Billie Jean's life. It was revealed on June 22nd, 2018 that Juanita P Gruchacz perished in Seminole, Florida. Gruchacz was 95 years old and was born in Doniphan, MO. Send flowers to express your sorrow and honor Juanita P's life. It was reported by The County Journal on May 10th, 2018 that Anna Pearl Bowles (McCreary) passed away in Chester, Illinois. Ms. Bowles was 88 years old and was born in Doniphan, MO. Send flowers to express your sympathy and honor Anna Pearl's life. It was disclosed by The Reflector on August 23rd, 2017 that James Henry "Jim" Griffin passed away in Kalama, Washington. Griffin was 68 years old and was born in Doniphan, MO. Send flowers to express your sympathy and honor James Henry "Jim"'s life. It was disclosed by Current Local on March 30th, 2017 that Gaylord Lenn Harvey passed on in Doniphan, Missouri. Harvey was 77 years old. Send flowers to share your condolences and honor Gaylord Lenn's life. It was written by Centralia Sentinel on March 23rd, 2017 that Dorothy Tinsley (Justice) passed on in Mt Vernon, Illinois. Ms. Tinsley was 91 years old and was born in Doniphan, MO. Send flowers to share your condolences and honor Dorothy's life. It was written by Current Local on November 3rd, 2016 that Thaine Joseph "Thainer Dainer" Julian died in Doniphan, Missouri. Julian was 4 years old. Send flowers to express your sorrow and honor Thaine Joseph "Thainer Dainer"'s life. It was disclosed by Centralia Sentinel on August 19th, 2016 that Virginia Lee Wadley (Kniker) perished in Centralia, Illinois. Ms. Wadley was 75 years old and was born in Doniphan, MO. Send flowers to share your condolences and honor Virginia Lee's life. 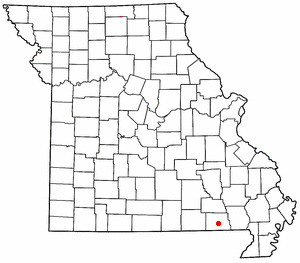 It is the county seat of Ripley County, Missouri County . The population was 1,932 at the 2000 census. Doniphan is a city in Ripley County, Missouri County, Missouri, United States. . .
Edwards Funeral Home provides complete funeral services to the local community. Listing all funeral homes in Doniphan, Missouri so you can easily send flowers to any location (same day delivery) or find any funeral service. Find a Funeral Home inDoniphan, Missouri MO to provide the caring burial and ceremonial services your family deserves. Doniphan Funeral planning made easy! Learn how to pre-plan your funeral in Doniphan, Missouri, including step-by-step directions. We work with local florists and flower shops to offer same day delivery. You will find budget sympathy flowers in Doniphan here. Our funeral flowers are cheap in price but not in value.